Section 69(2) provides that an application under subsection (1) for a jury trial “must be made not later than such time before the trial as may be prescribed”. In practice, the courts have been keen to get rid of juries in defamation cases for some time, and so it has been relatively common for the court to direct trial by judge alone. After all, many cases now involve a lot of documents, in particular email, making them unsuitable for determination by a jury. 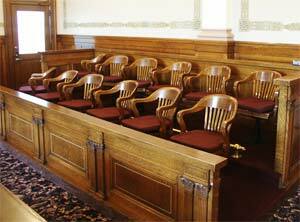 However, for simple cases, juries have been the norm. An application for a claim to be tried with a jury must be made within 28 days of service of the defence. The timing here is significant. In most civil litigation, the pleading stage of the case ends with the service of the defence. By then, the parties will know what issues are in dispute, and can decide how long the trial will be and how many witnesses will be involved. That is not the position in defamation claims in which a defendant has pleaded a defence of truth. The rules require the claimant in truth cases to serve a reply, specifically admitting or denying each of the allegations set out in the defence (CPR 53 PD 2.8). Until this has been served, the parties do not know what issues of fact will need to be decided at trial, making it very difficult to reach a meaningful view on mode of trial. “An action to be tried in the Queen’s Bench Division which does not by virtue of subsection (1) fall to be tried with a jury shall be tried without a jury unless the court in its discretion orders it to be tried with a jury”. In other words, the presumption is reversed. This has been considered in three cases. “… an action which does not come within section 69(1) has to be tried without a jury, unless the court in its discretion orders it to be tried with a jury. The discretion is now very rarely exercised, reflecting contemporary practice. Contemporary practice has an eye, among other things, to proportionality; the greater predictability of the decision of a professional judge; and the fact that a judge gives reasons” . “We have not been asked to review the reasoning in Cook and we must proceed on the basis that it is correct. The practical effect is that, where a party seeking jury trial in circumstances where that is permitted by s.69(1)(b), which includes libel, fails to make the application within the period prescribed, which is 28 days, then the right which it could be said that s.69(1) confers goes and the matter then becomes in the discretion of the judge . In Thornton, although no application had been made within the timeframe specified in CPR r.26.11, the parties had agreed to a jury trial in approved directions. The defendant then sought to vary this for a trial by judge alone. Mr Justice Tugendhat refused to vary the order on the basis that there should be a degree of finality about such matters. The Court of Appeal stated that there was a discretion as to whether to order a jury trial and that the judge should have considered the issue more broadly than he did. In the absence of a special reason why trial by judge alone would be inappropriate or why a late change would prejudice a party, the matter should be remitted to the judge for reconsideration. Lord Justice Leveson remarked that “the sands of time are running out for a jury trial in civil matters”. The position might change again if the Government’s draft Defamation Bill is passed. The Act would remove libel and slander cases from section 69(1) altogether, so there would never be a presumption of trial by jury. If passed, the court would still have the power to order a jury trial in a defamation case, just as it can theoretically order one for the trial of any type of civil claim. However, the reality is that the Act would mean the end of jury trials in defamation cases. Jaron Lewis is a partner in the RPC media team. “Claims for damages for libel and slander (defamation), fraud, malicious prosecution and false imprisonment will be tried by a Judge and jury unless the court orders trial by a Judge alone.” ?